The Found-Wood Working Project invited 20 leading creators to join a field workshop that explored discarded wood found in Nangrong District, Burirum Province. Each participant then selected one piece of “found wood” as a starting material to create a design work of their choice. This project shifts the basic concept of working with processed wood into working with wood that can be found in natural setting. And the “Found-Wood Working Project” exhibition aims to demonstrate the working process, widen the audience’s creative frame and perspective, and encourage them to experiments with the potential and inherent beauty of found wood as well as other scrap materials around us. 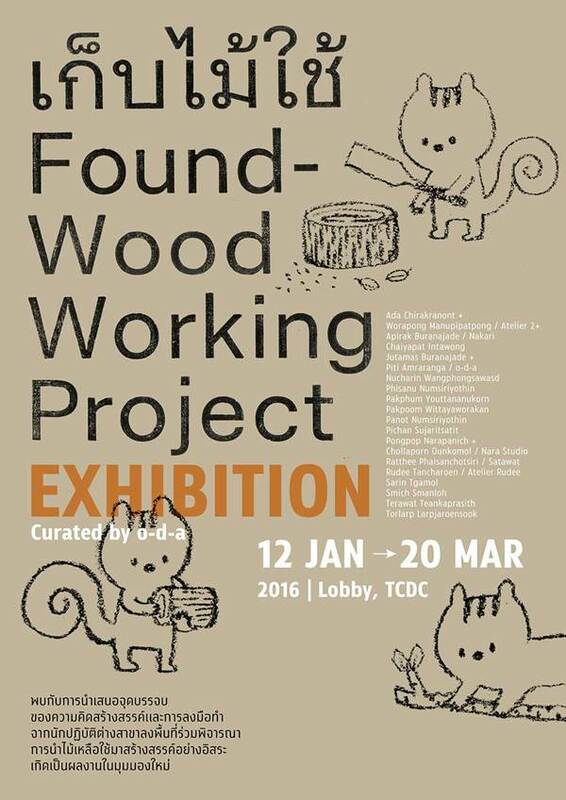 Curated by o-d-a, the “Found-Wood Working Project” exhibition is a collaboration between the Found-Wood Working Project and TCDC.